This page shows the countries of the world ordered by population size. Click on a country to get more information about it. Facts about the country, the flag, maps, population, languages, birth rate, information about the land / water area, size of the country, death rate, animals, coordinates, country dialling codes, top-level domains, irrigated land, other facts and additional information. 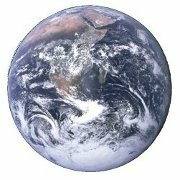 Use this site to broaden your knowledge about the different countries in the world. Looking for a specific country? Please look in the list below, it is ordered by population size. "List of countries of the world" is your first stop in discovering facts about all the countries of the world. On this page, the countries are ordered by population. What country has the most inhabitants? What countries do not have an indeginous population?